Seriously love maps. 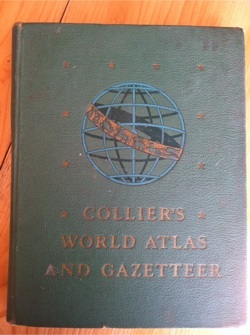 My latest purchase is a 1941 Collier’s World Atlas and Gazetteer. Three hundred and thirty-five pages of maps, statistics, articles, and geographic data. Sweet. And really, aren’t maps some of the coolest things that history teachers get to mess with? The answer is yup. But I think we sometimes forget how powerful and useful a map can be. Geography and place often is pushed to the side in our history and social studies instruction. Perhaps is because we just don’t have a strong geography background or we don’t think we have the time / resources to focus on it. But we really don’t have an excuse anymore. The newly approved Kansas state social studies standards are focused on five Big Ideas. The fifth one? Relationships among people, places, ideas, and environments are dynamic. The student will investigate the relationship among people, places, ideas, and/or the environment and connect those relationships to contemporary issues. The student will use his/her understanding of these dynamic relationships to create a personal, community, state, and/or national narrative. The 1941 Gazetteer has seventeen pages of European maps. Three of African. How about we start with that question as a hook activity? 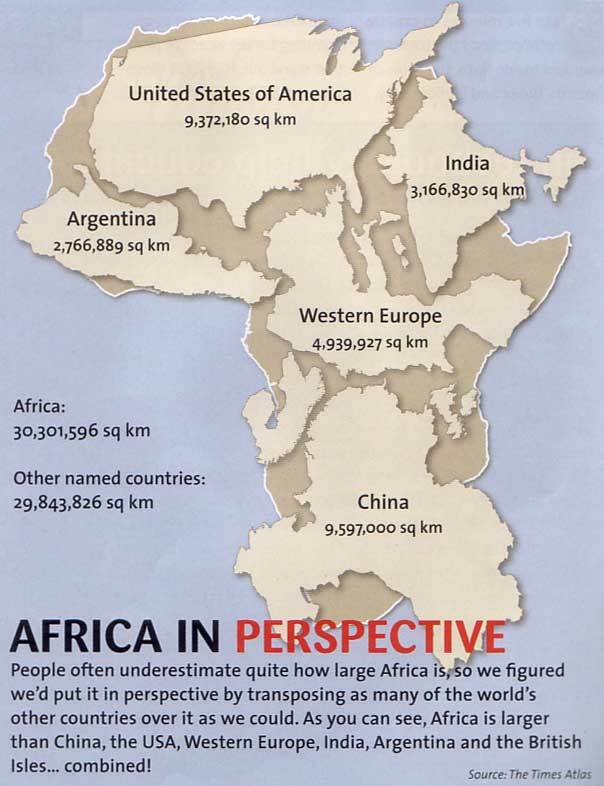 Why would a 1941 collection of maps be so out of proportion in terms of the number of maps included when Africa is three times larger than Europe? Can we predict what a 2013 collection would contain? Does it matter when and where a collection is published? Does it matter if the collection is a print document or a digital document? What should a modern collection of maps contain? Are maps “fair?” Do maps lie? Do maps help people or hurt people? Need a few more ideas? Resources? Try some of these. And start developing your own set of questions. I couldn’t agree more…. Although, I’m increasingly worried that our undergrads and other students are losing their geographic knowledge — the occasional map quizzes I’ve given out (of the most basic info) in my medieval classes I grade for are downright abysmal…. We do need to find the delicate balance between foundational knowledge and actually using that knowledge. It’s questions like this that we want to discuss on Doing Social Studies. What knowledge do we spend time on as part of our instruction, how do we help kids internalize that knowledge, what knowledge can we “ignore” because it’s something they can Google as needed, and how can we facilitate learning that actually uses that knowledge in relevant ways? Glenn, just finished reading (again) Tony Wagner’s Creating Innovators and you and he are in mind meld–foundational knowledge and usable, relevant to a student’s real world knowledge. One of my summer projects is to create a lesson teaching my students land navigation in the fall and tie into their astrolab section in science — an accoustic version of Google Earth; actually using earth. Cool beans! I’m loving your idea of an “analog” Google Earth – the actual earth. Good luck and let us know how it goes!